One of the focal points of the protests raging in Zuccotti Park and around the world is the sizable gap between the rich and everyone else. 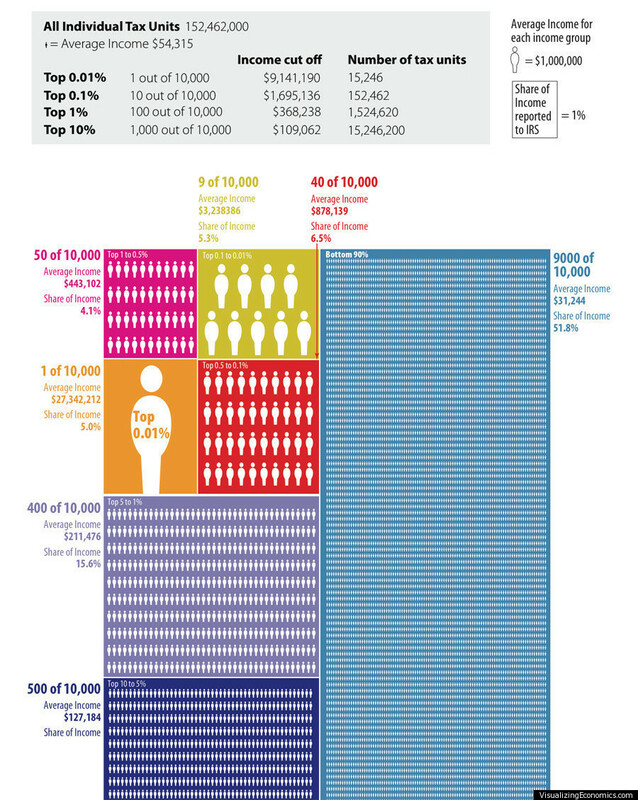 Yet as the below graphic shows, there are many different levels of wealth among even the richest of the rich. But the gap between the super-rich and everyone else wasn't always so wide. Indeed, the share of income belonging to the top 1 percent of earners in the U.S. more than doubled between 1982 and 2008, according to the Wall Street Journal. Though income inequality may be particularly striking in the U.S., it's by no means contained to a single country. Worldwide, those making more than $1 million control nearly 40 percent of global wealth, the WSJ reports. And that number may be only poised to grow; by the end of the decade, the global wealth of millionaire households in 25 economies will more than double, according to a report from the Deloitte Center for Financial Services. At the same time that the number of wealthy global citizens grows, though, the financial situations of many is getting more tenuous. The median income dropped in 2010 for the second year in a row to $26,364 and a recent Gallup poll found that 20 percent of U.S. households rate their financial situation as "poor" -- a larger share than those that had that same view during the recession. Visualizing Economics is a website by Catherine Mulbrandon dedicated to publishing infographics about economic data. Visualizing Economics has been featured at Slate.com, NPR.org, WashingtonPost.com, The Big Picture, Seeking Alpha and on MSNBC.